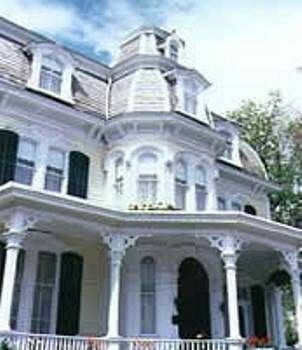 Property Location When you stay at The Mansion Inn in New Hope, you&apos;ll be within the vicinity of Washington Crossing Open Air Theater. This bed & breakfast is within the region of Garden of Reflection 9-11 Memorial and Schofield Ford Covered Bridge.Rooms Make yourself at home in one of the 7 guestrooms. Complimentary wireless Internet access keeps you connected, and cable programming is available for your entertainment.Rec, Spa, Premium Amenities Take in the views from a garden and make use of amenities such as complimentary wireless Internet access and tour/ticket assistance.Dining Enjoy a satisfying meal at a restaurant serving guests of The Mansion Inn.Business, Other Amenities Free self parking is available onsite.